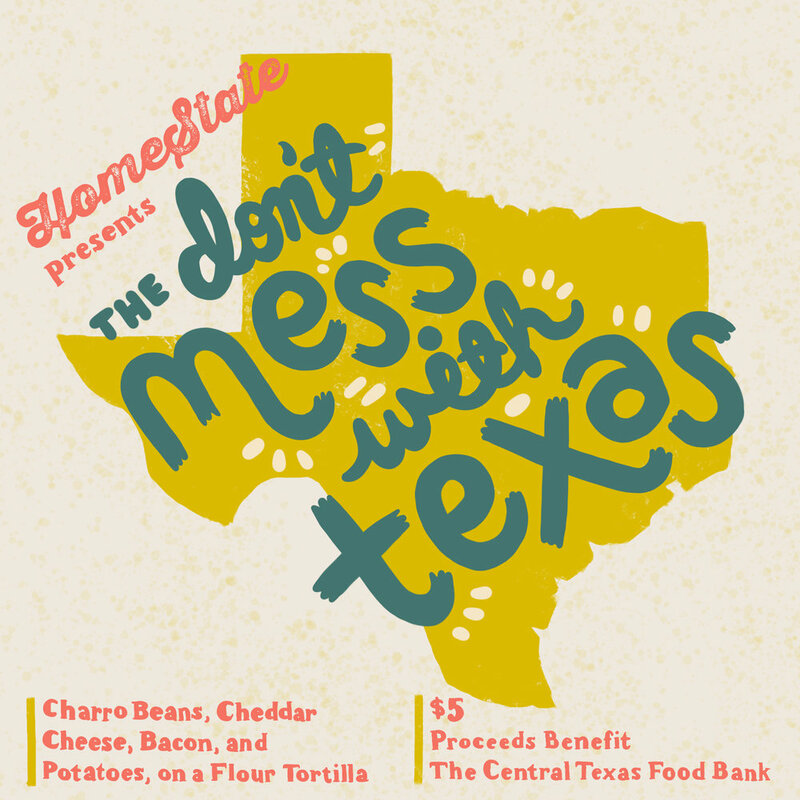 Each month, HomeState partners with a different band and/or organization to come up with a special menu item to sell for the month. The proceeds from that item benefit different charities. 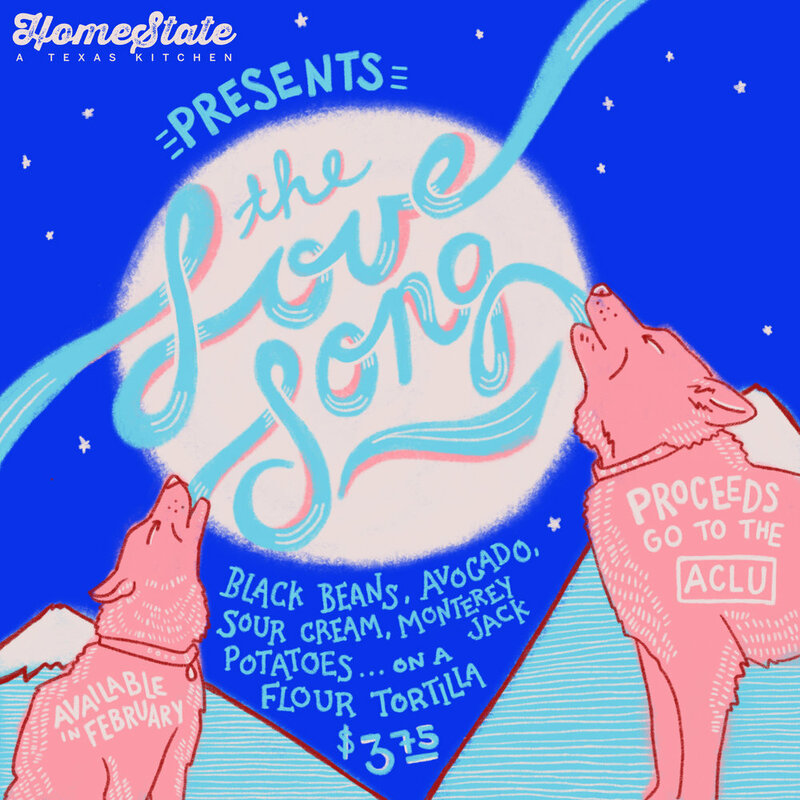 They come up with the name of the taco, and I come up with the artwork direction and design. The flyers are posted all over social media, and also live in and outside the restaurant (even after their month is up). All flyers are 100% hand drawn.